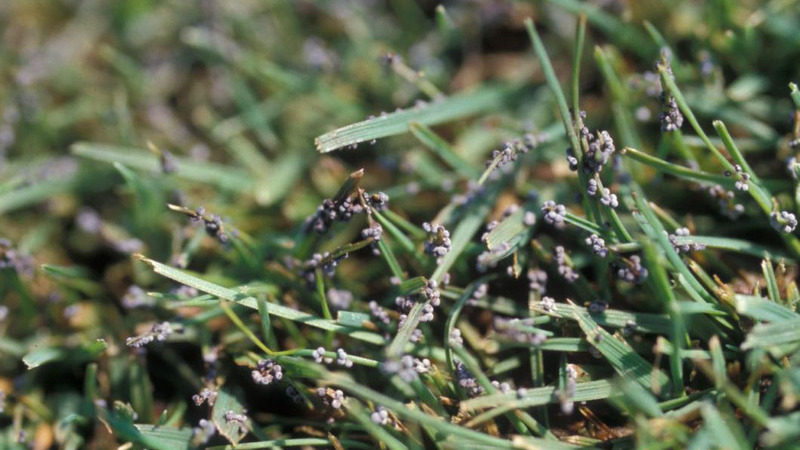 Many small, round pustules are observed on the turfgrass leaves in small patches. 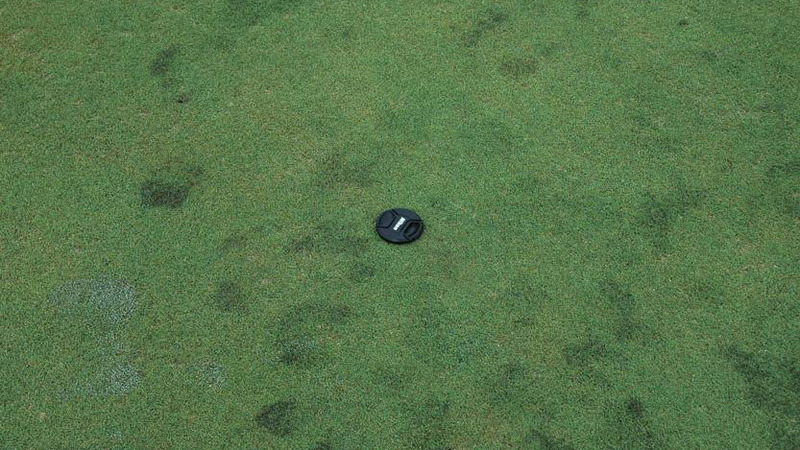 The patches develop very quickly, usually overnight. The pustules may be purple, white, gray, yellow, or orange in color. 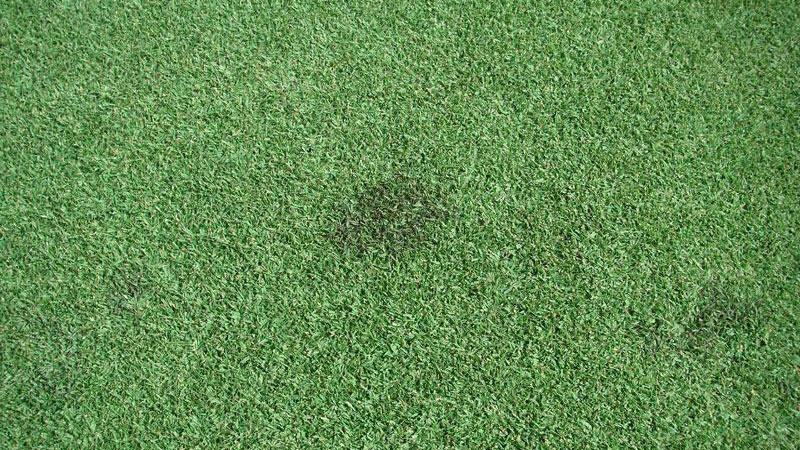 The slime mold organisms do not infect the turf or cause direct harm, but they can cause mild yellowing of the leaves due to their shading effect. Slime molds are unsightly but are not considered harmful. Slime mold spores survive in the soil and thatch. 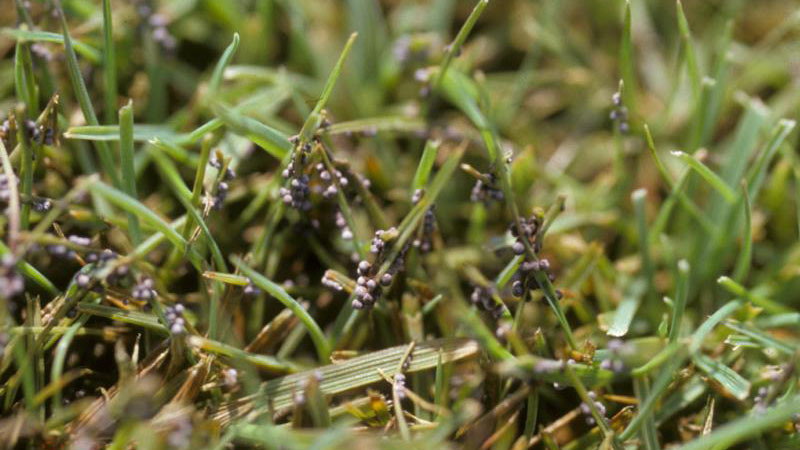 During warm, wet weather the spores germinate and develop into a slimy mass that grows over the soil and nearby plant parts during wet weather. 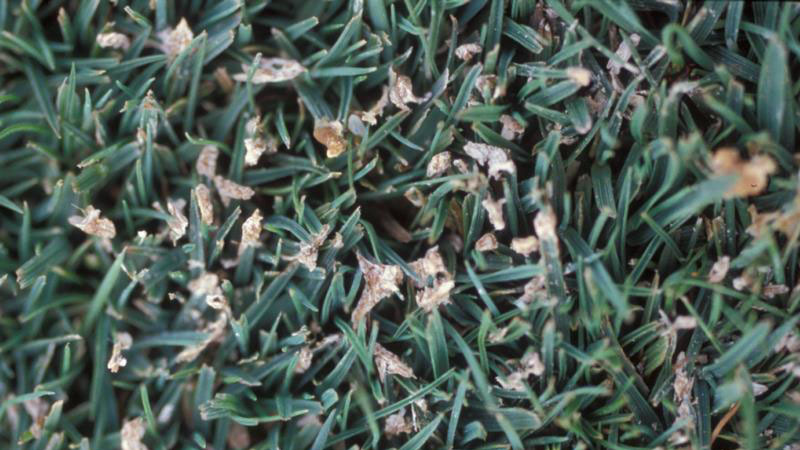 The pustules observed on turfgrass leaves are reproductive structures that contain numerous spores. Flushes of slime mold growth are often observed after heavy rain storms that were preceded by long periods of dry weather. 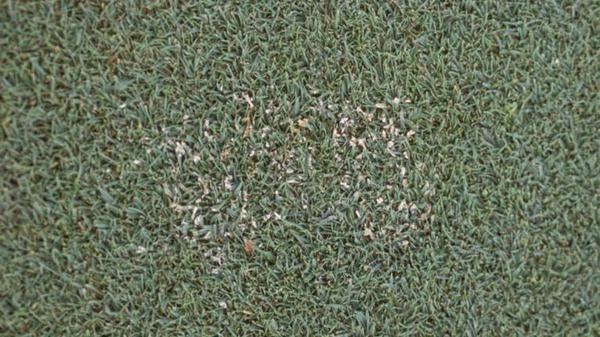 Slime mold pustules typically disappear after 2 to 3 days; therefore, no control practices are needed. 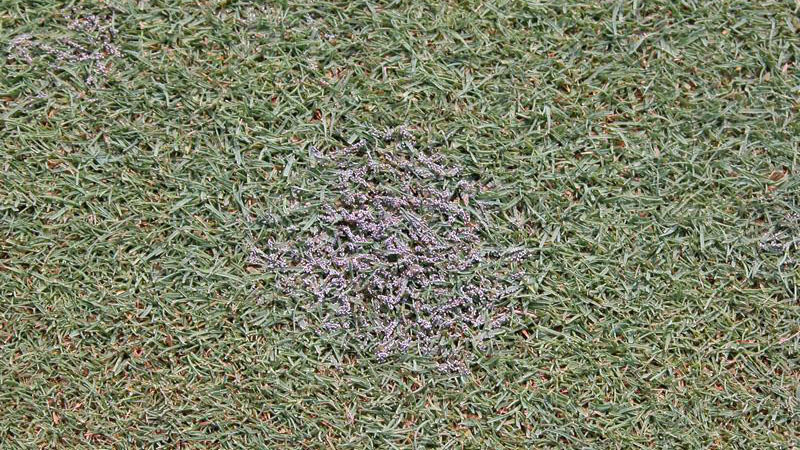 If the growth is particularly unsightly, the pustules may be removed by brushing, mowing, or washing the turf. 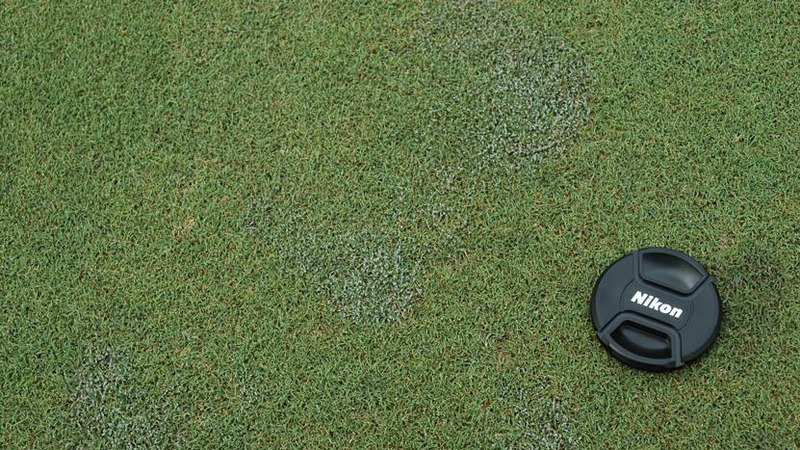 Fungicides are available for slime mold control but are only necessary in severe cases. Figure 1. Slime mold stand symptoms. Figure 2. Slime mold stand symptoms. Figure 3. Slime mold stand symptoms. Figure 4. Slime mold stand symptoms. Figure 5. Slime mold stand symptoms. Figure 6. Slime mold stand symptoms. Figure 7. Slime Mold stand symptoms. Figure 8. Slime mold stand symptoms. Figure 9. 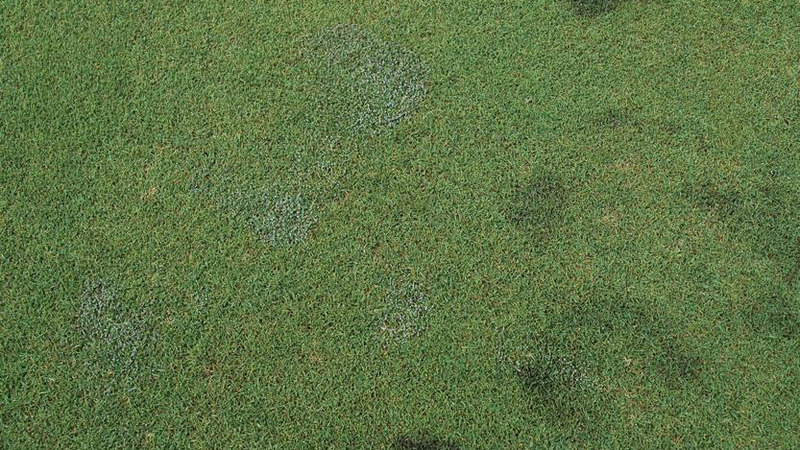 Slime mold foliar symptoms. Figure 10. 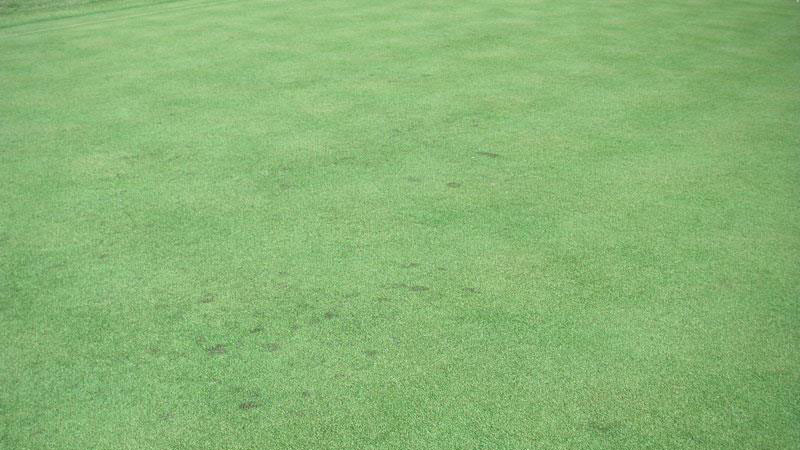 Slime mold foliar symptoms. Figure 11. 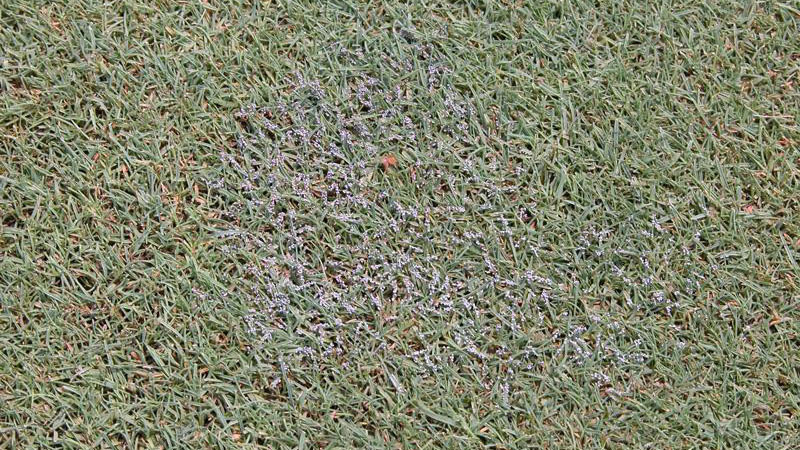 Slime mold foliar symptoms.